Maruti Ignis AMT – Features You Won’t Get And Why! With the Ignis AT offered only in the Delta and Zeta grades, here’s what the AMT equipped versions will miss out on! 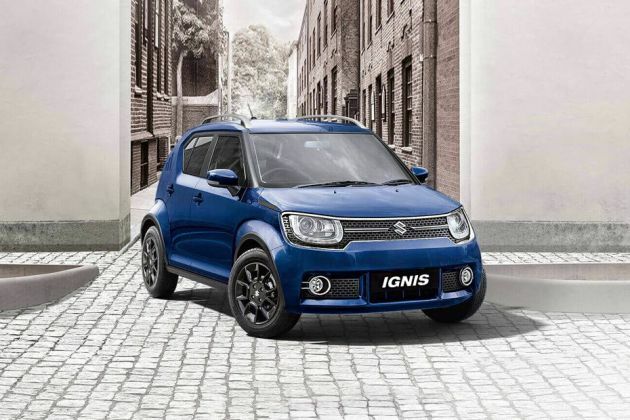 Here's all we know about the upcoming Ignis, termed as the premium urban compact vehicle by Maruti Suzuki. Maruti Suzuki Ignis: Check Out The Crazy Official Accessories! Just like the Ignis, its accessories are out of the box too! కొత్త వీడియో లో సుజుకి ఇగ్నిస్ యొక్క వివరణాత్మక ఫీచర్లు కనిపించాయి.